Koby grew up and in Oregon and moved to Maine in 2013 where he graduated from Bates College with a degree in Environmental Studies. While in school, Koby spent his weekends climbing the granite cracks and ice flows of the Mount Washington Valley in New Hampshire. Koby spends his winters in North Conway, New Hampshire where he guides ice climbing and winter ascents of Mt. Washington. 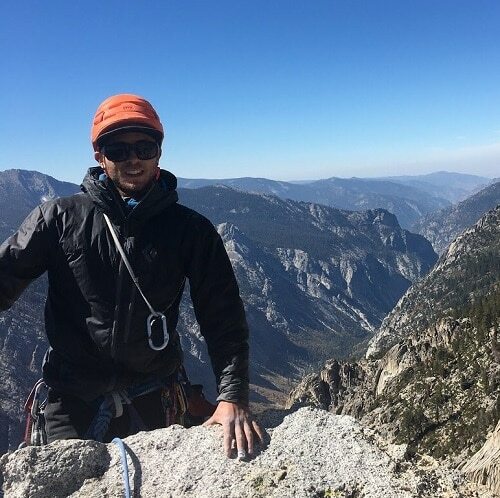 Koby’s passion for climbing and deep respect for the outdoors has taken him all across the United States and around the world including to Ecuador, Mexico, New Zealand, Canada, and back home to the Cascade Volcanoes. I also wanted to say that Kirah and Brien are wonderful, professional guides. They gave me great encouragement to keep me going, I had to descend on an Brand X rope, and the difference in guide quality was unbelievable; Alpine Ascents clearly has the best guides in the business.